OYA Blog > Beauty tips > Say goodbye to spots and acne! Say goodbye to spots and acne! The figures speak for themselves: nearly 80% of women with dark and olive skin suffer from acne, and not just as teenagers! This very common skin problem can be extremely bothersome and often leaves undesirable marks on the skin. So what do you need to know about acne, and how can you effectively deal with it? All four factors must be addressed to effectively treat acne. 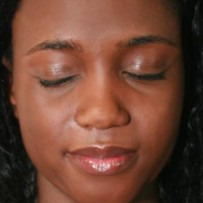 It is crucial to use suitable products and completely avoid skin lightening products, which can aggravate the appearance of spots and interfere with your treatment. 3. Use a product every day that is specifically formulated for acne-prone dark skin such as ACN’OYA® My Skin Care Anti-imperfection or ACN’OYA® My Targeted Corrector depending on your needs. Each of these products will address the four factors mentioned previously. 4. 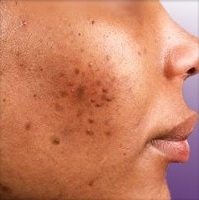 You can then treat dark spots due to hyperpigmentation that are left by blemishes with MEL’OYA® My Correcting Serum . Remember that it is important to treat blemishes before tackling dark spots ! Once or twice a week, gently exfoliate your skin to clear pores and let your skin breathe. Opt for exfoliant products such as CLEAN'OYA® with salicylic acid, because this active will act deeply on skin without irritating it and will promote renewal to speed the effect of your treatment. Your skin will be simply radiant! Je suis vraiment interessè par la gamme .mais je reside actuellement en chine .Comment faire pour lacheter et lavoir.? Black dry skin : How to apply make-up ?